Before the glitz and the gleam…. At first glance, it is hard to see beyond the high-rise, opulent, glamourous side of Dubai, outside of the malls and the incredible towers and the golf courses and air conditioned bus stops. 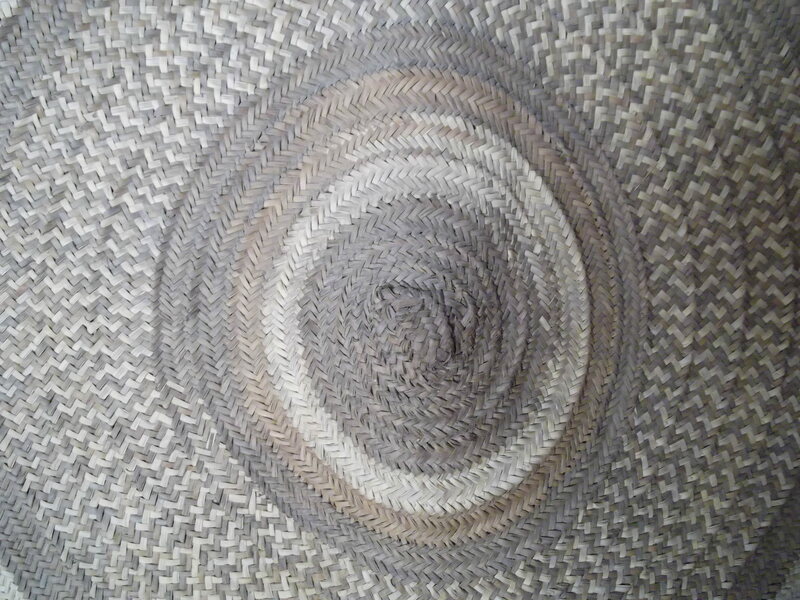 But today I found a real taste of the historical Bedouin lifestyle that existed before the UAE hit black gold and transformed itself into the modern city it is today. The Dubai Museum was a great outing and a nice eye opener about how life used to be here. 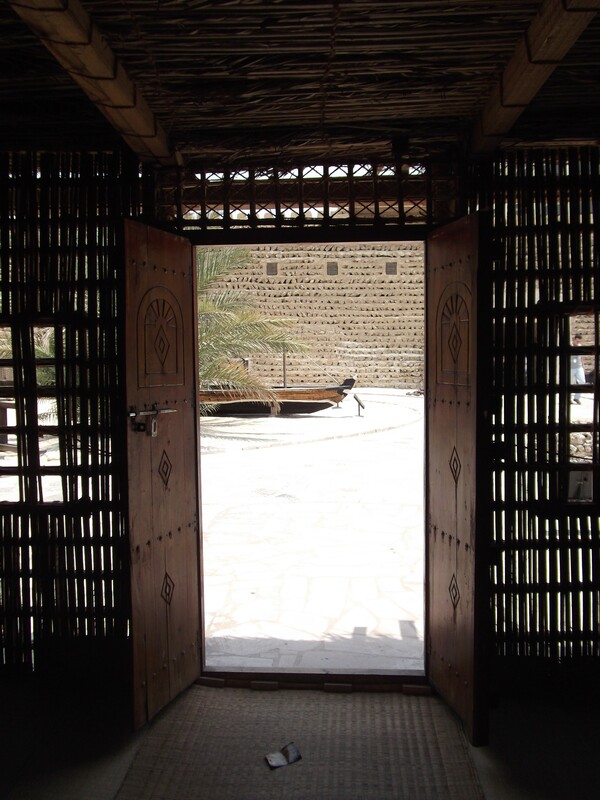 The Museum itself is housed inside the walls of the Al Fahidi Fort which used to defend the town back in the days. 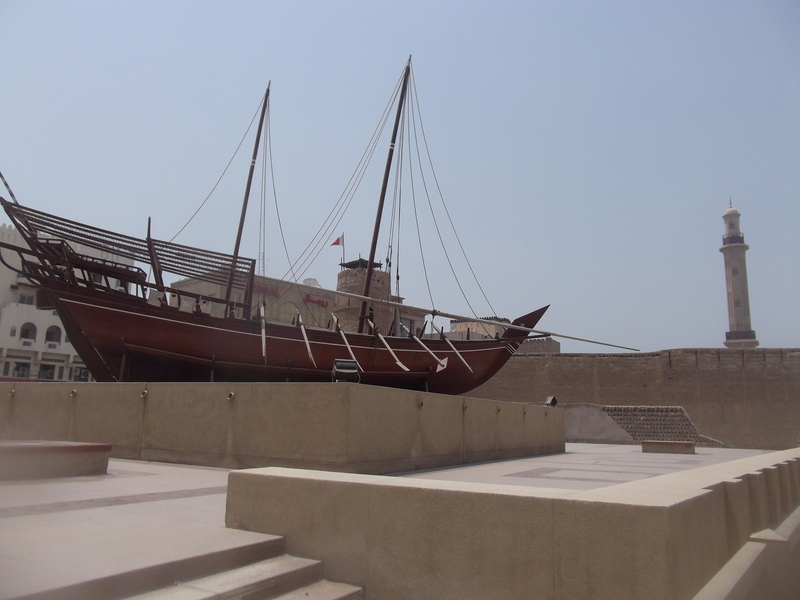 The Fort is the oldest surviving building in all of Dubai, built in 1787. I guess this is definitely proof of the nomadic way of life that previously existed, if the oldest building in town is just over 200 years old. Inside you enter into a big courtyard showcasing old fashioned homes, kitchens, wind towers (old school air conditioners) and other artifacts. The courtyard was great, but it was so incredibly hot today, I don’t exaggerate when I say that ALL of the visitors were rushing to get into the indoor galleries and exhibitions and get out of the blazing sun. I saw a bird panting. Seriously. Did you know that birds could pant? Quick! Run for the AC before we all melt! 96 degrees in the shaaaade……. Once you leave the courtyard, you enter into a very modern and I have to say nicely laid out indoors museum which covers all kinds of topics, including archaeological finds, traditional costumes (including one amazing skirt adorned with goat hooves which makes an incredible sound dancing), pearl diving, jewelery design, falconry, weaponry, and spices. 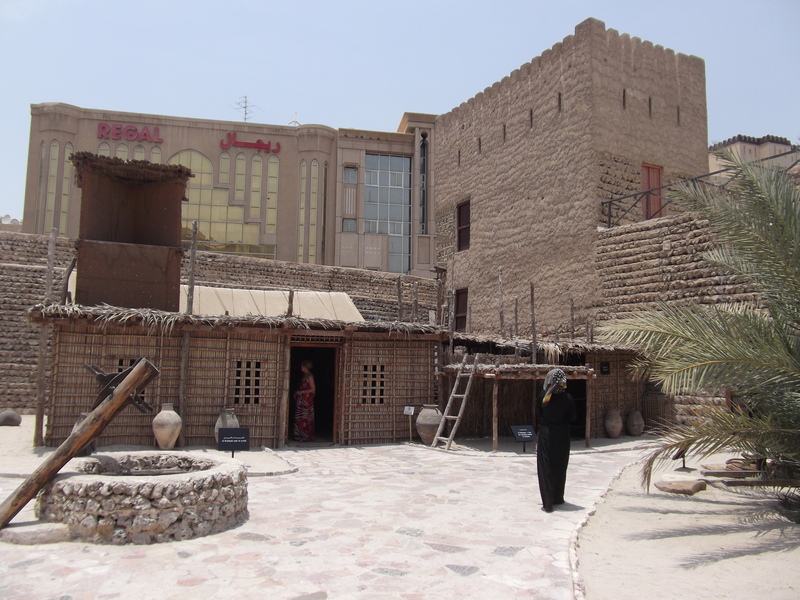 And although Dubai itself might not have many old buildings, there are artifacts dating back more than 2000 years. What was also impressive was a video showing the development of Dubai over the last 50 years from a humble fishing village to a mega city, and the footage is incredible. Really makes you appreciate how much has been accomplished in an incredibly short space of time. This is for sure a good little trip for visitors who come in the heat of the summer and want to do something interesting during the day time beside eating and drinking and shopping inside the malls. Really the heat is a killer, and is not conducive to walking around for hours every day for sightseeing, so a museum is a really good bet. It was also really nice standing in the courtyard when the Call to Prayer began, and rang out all the different voices from the different mosques in the nearby areas. FYI — I got there by public transportation, getting off at Khalid Bin Al Waleed Metro Station and then taking a taxi, which was just a few minutes away and about 10 dirhams (US $3). The entrance fee to the museum is a measly 3 dirhams!!! This is definitely one attraction I would recommend. What wonderful history you are experiencing. So glad you are sharing it. We definitely don’t want to come in summer though…”96 degrees in the sun.” Our Alaskan bodies wouldn’t take that very well. I imagine you will become acclimated to it eventually. I can’t imagine wearing a long black garment in that weather. The stroller showed the advances of today, too. Good picture taking. Gary’s going to love that boat when he see it.